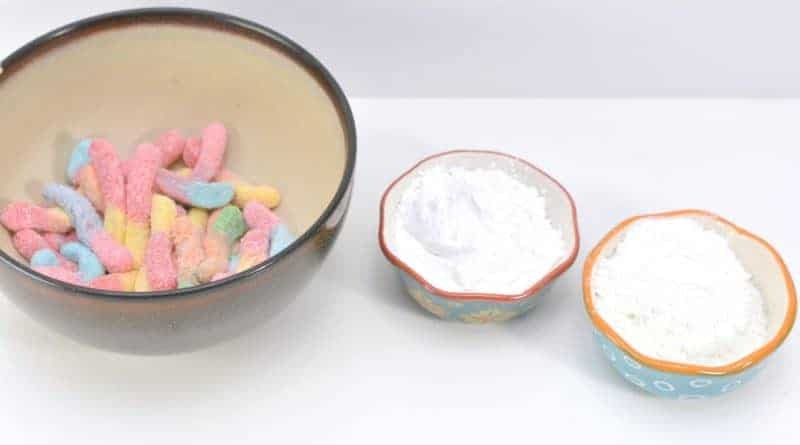 See how we made this homemade edible silly putty out of gummy worms, cornstarch and sugar, with step-by-step instructions and photos! 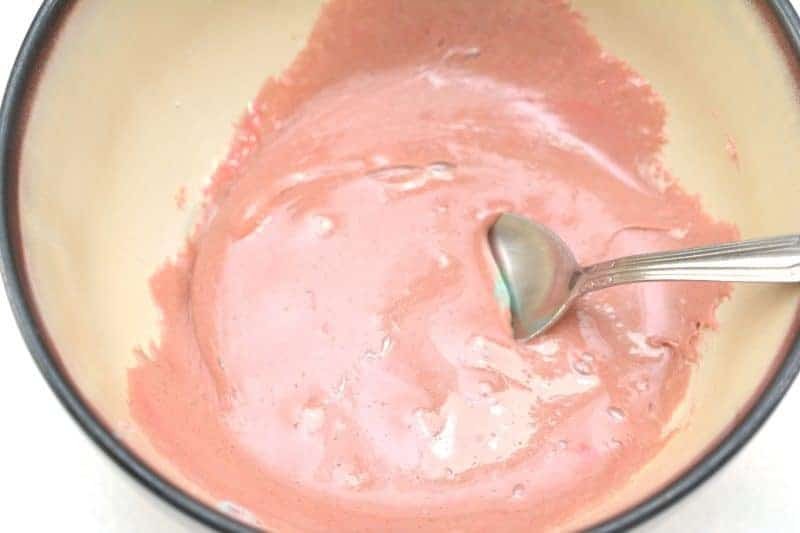 We all know how much fun silly putty can be to make and play with, but what if you made the homemade silly putty with all edible ingredients so that your kids could eat it?! Kids love being able to play with something that they can also eat. 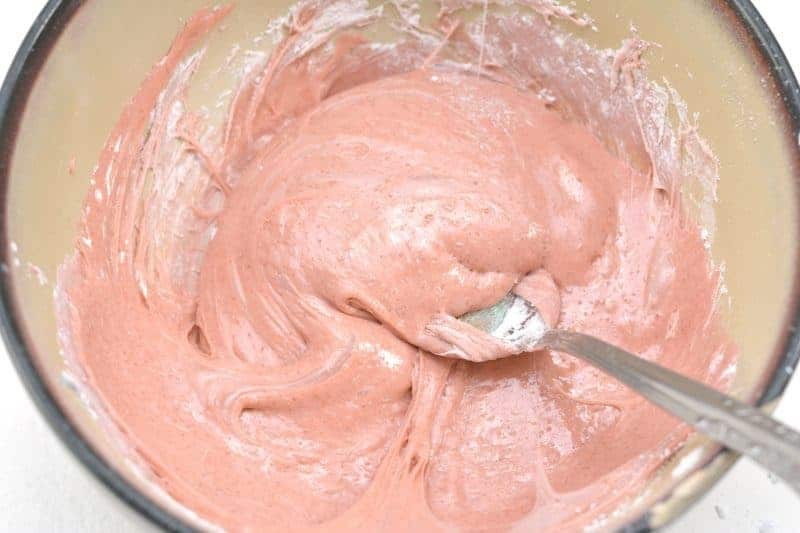 This homemade silly putty is something that you won’t have to worry about your kids consuming. The recipe is super simply with only three ingredients, all of which are perfectly safe to eat. You can make this edible silly putty as a rainy-day DIY activity with the kids. 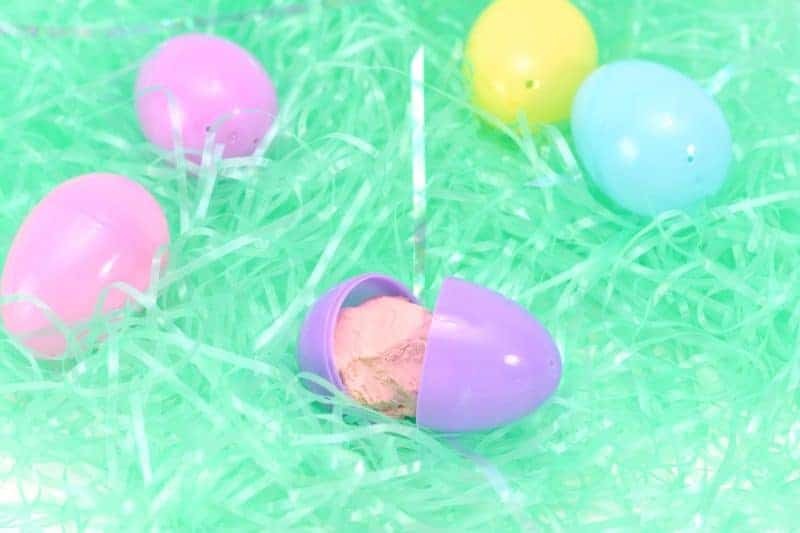 Or, you could make the homemade silly putty yourself and then place it in plastic eggs for your kids’ Easter baskets. You could even create cute labels that say something fun like, “The Easter Bunny’s Special Edible Putty”. 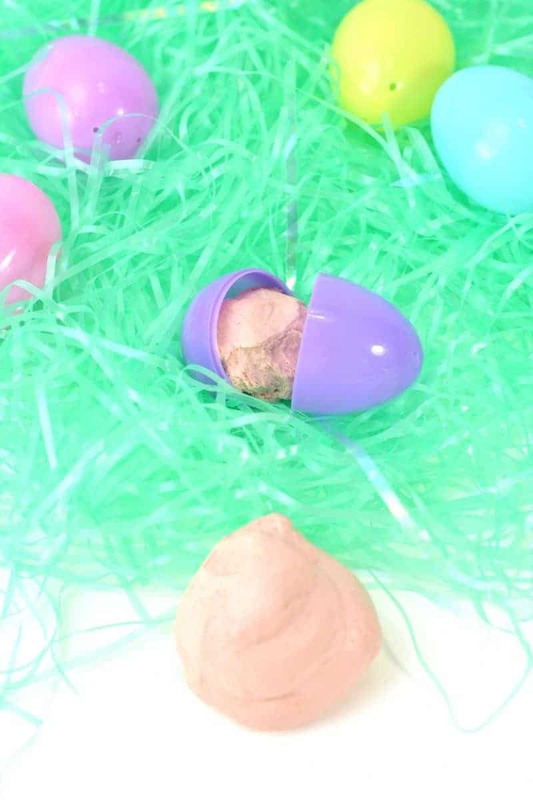 Although this DIY edible silly putty activity is perfect for Easter, it also makes a great kids activity for any time of the year. 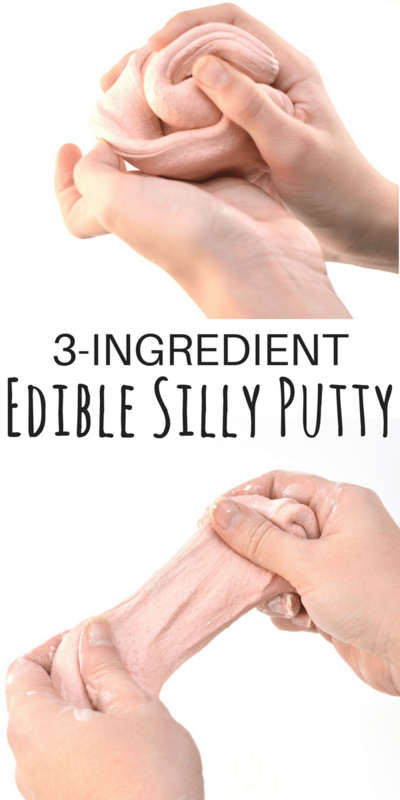 Your kids will love playing with this edible putty. Do note that this putty doesn’t hold up for long-term storage. Once your kids are done playing with it, you will want to toss the rest in the trash. 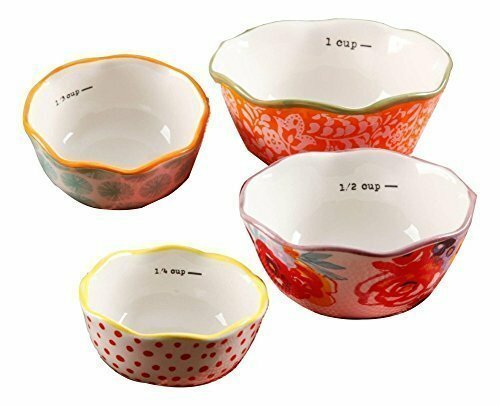 First, place sour gummy worms into a microwave safe bowl. Microwave gummy worms for 30 seconds. Then, check to see if they are starting to melt. If they are not, continue to microwave at 10 second intervals until they start to melt. 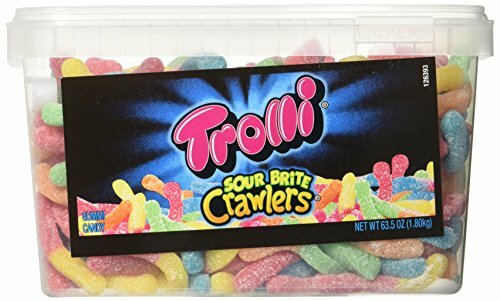 It took our gummy worms 40 seconds to melt in a microwave that is 1,000 watts, but melting time will vary depending on your microwave’s wattage. 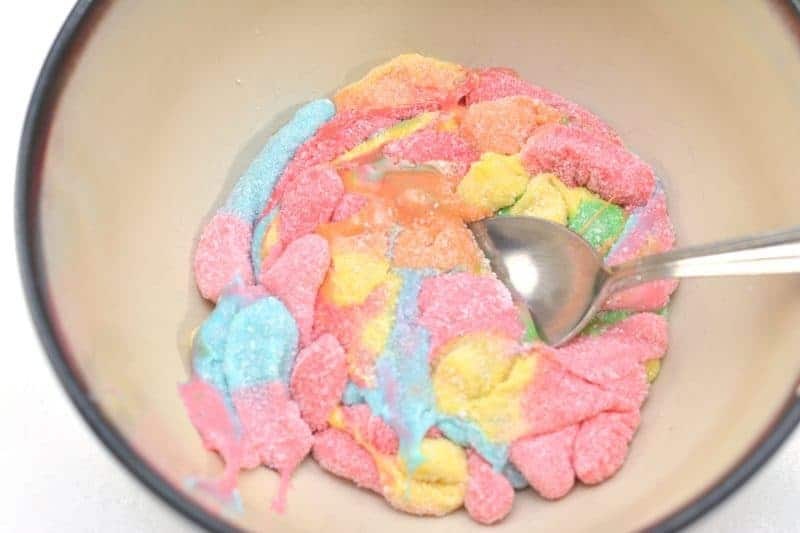 Once the gummy worms have begun to melt, stir them thoroughly with a spoon to mix the colors well. Next, add 1 tablespoon of cornstarch and mix well. Then, add 1 tablespoon of powdered sugar and mix thoroughly. At this point the mixture will become more difficult to stir. 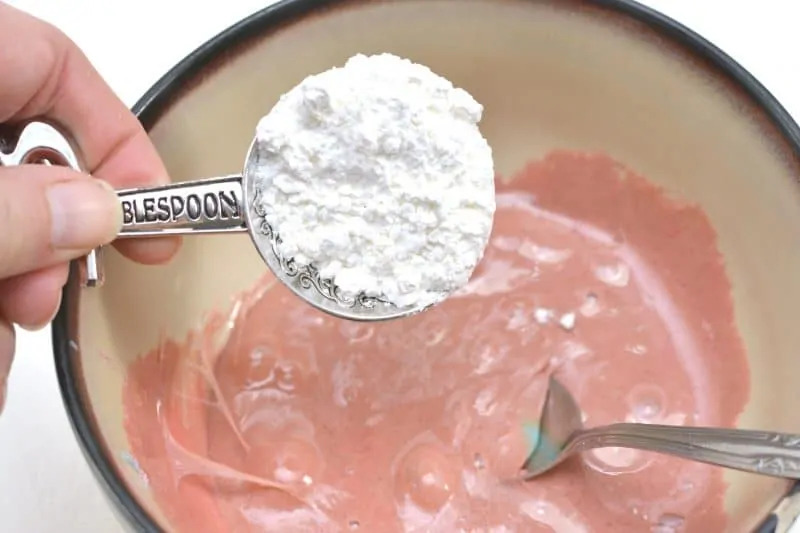 Do the best you can, smooshing the mixture with the back of the spoon to expose new sticky areas to the powdered sugar and cornstarch in your bowl. 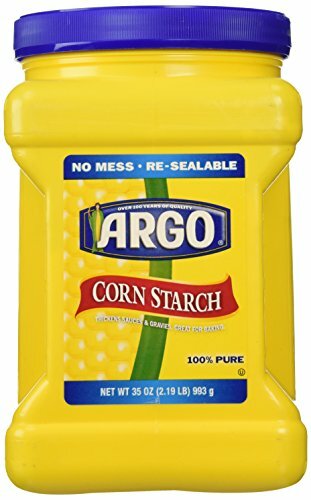 Slowly add in more cornstarch ½ tablespoon at a time until your mixture is no longer as sticky. 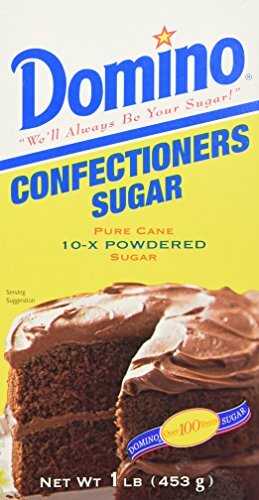 It took us 1 tablespoon of powdered sugar and a total of 2 ½ tablespoons of cornstarch before our mixture reached this stage. 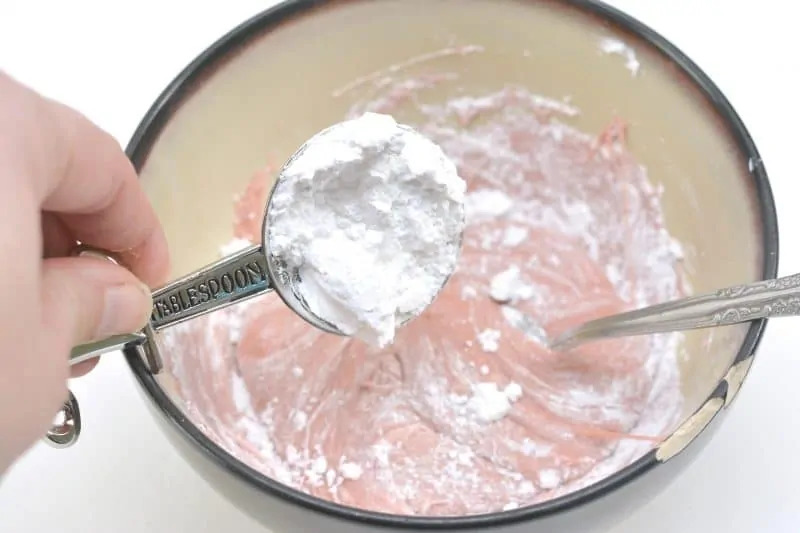 Place some cornstarch on your hands and take your putty out of the bowl. Work the putty with your hands, adding a dusting of corn starch as needed, until it is no longer tacky. Note: Since this is an edible silly putty, it really does not store well. You should discard it after play. We love Silly putty and sour gummy worms here. I always used to like them when I was a kid it is cool to see that my kid loves them to. I still love to play with Silly puddy! My son would love for me to make this! This is genius!!! What a fun idea! Awesome idea. Have never heard of it before this. This looks like fun and yummy! My daughter just brought home something that look like this. I’ll have to see if they made this in school or something. Would be a great project to do with my younger kids too. My daughter has been so obsessed with making her own slime lately. This looks like so much fun. Thank you. What a great idea for some fun to do with the grandkids.